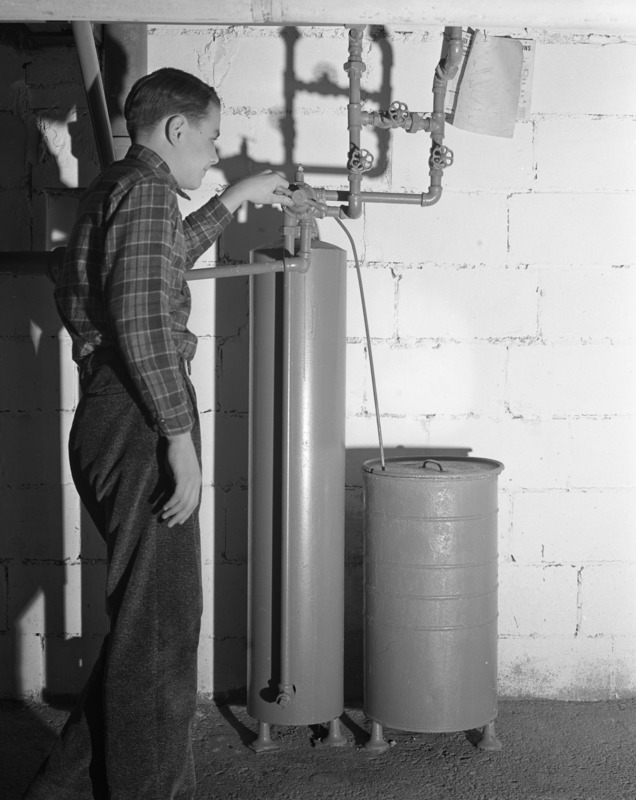 Did you know water softeners have been around for over a hundred years? It wasn’t until the 1950’s when they slowly began to make their way into the domestic market. Originally these machines were very large, inefficient and requiring manual operation. Due to the high price tag they would have been a more of a luxury commodity. 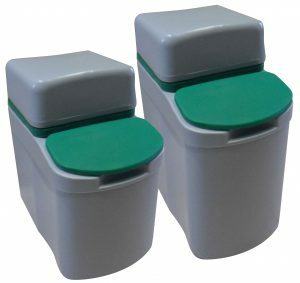 Try fitting one of these under your kitchen sink! Advances in water softener technology, have enabled softeners to be made more affordable, fully automatic, and small enough to fit under a kitchen sink, making them a practical investment in any home. 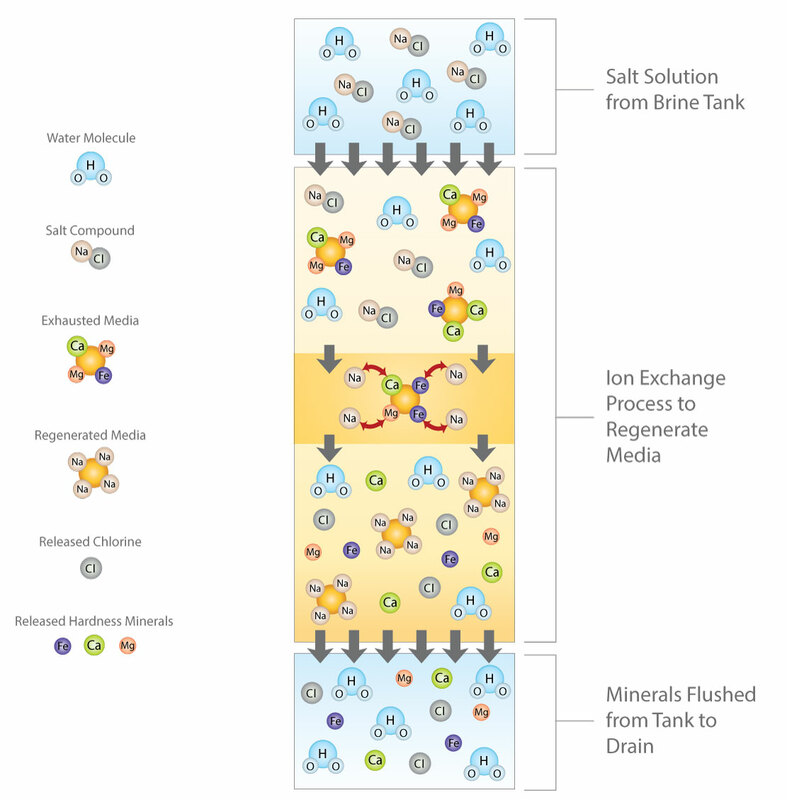 The Ion Exchange water softener. Vital to all water softeners, the resin is the main component responsible for the softening of hard water. These small plastic beads have a diameter of about 0.6mm and are able to attract calcium and magnesium ions – as hard water passes through the resin it is rendered soft, simple! 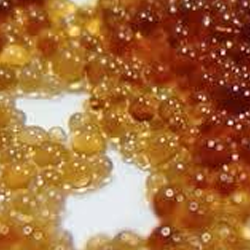 This process continues until the resin has exhausted the sodium ions, it is then necessary for the resin to be recharged, this is known as ‘regeneration’. All modern water softeners will initiate this automatically, a process that flushes away the collected hard minerals and recharges as a salt solution is flushed through the resin. Once the regeneration cycle is complete the water softener is ready go back into service, and the whole process is repeated. How much does it cost to run a water softener? Based on the average water consumption for two people, expect a cost of between £50 – £100 per-year. These running costs depend on two things, the amount of water consumed and the efficiency of the water softener. The amount of salt and water consumed during regeneration varies quite a bit between makes and models, always check the manufacturers specification. Installing a high efficiency water softener will save money in both salt and water. This would mean fewer trips to the hardware store to buy salt, and less of your time required to fill the water softener with the salt. Regardless of efficiency, a water softener will always produce a payback, cutting energy bills, repair/maintenance bills, and with you spending less on cleaning products, and soap. These are a new development in water softener resin. The beads are smaller and more uniform in size and shape, increasing their efficiency, which reduces running costs by up to 40%. Boiling Hot Water Taps (For coffee and tea)… Blocked internals and immersion element failures. Instantaneous Water Heaters…Immersion heater element failure. 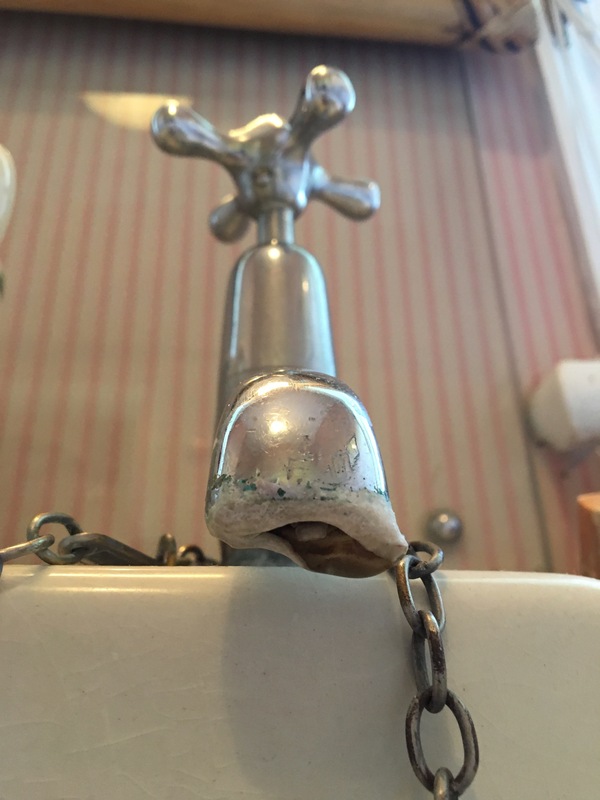 Electric Showers…Stuck or leaking shut off valves, heater element failure. Pressure Relief Valves… Seizing, with failure to re-seat. Pressure reducing valves… Blocked filter, failure to re-seat. 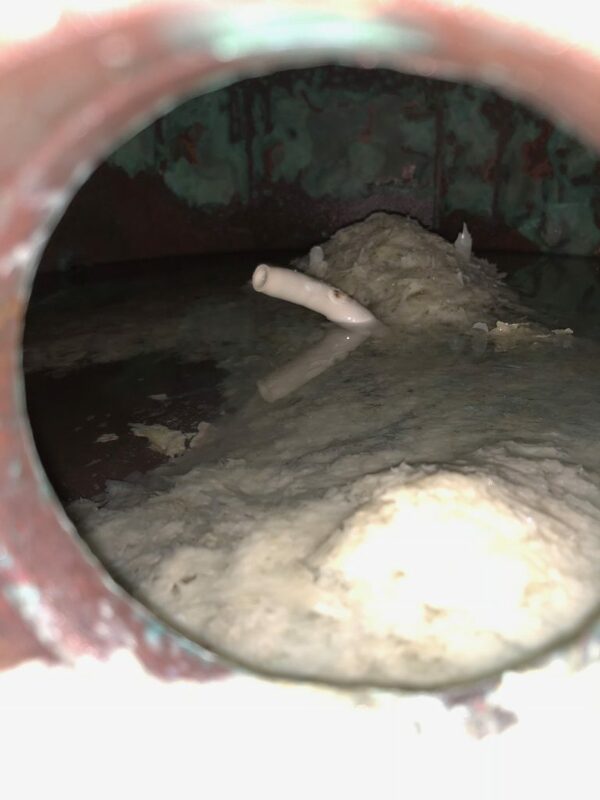 Combi Boilers…Heat exchanger, blockages, and failure, diverter valve failure. How can lime-scale can cause problems in plumbing? 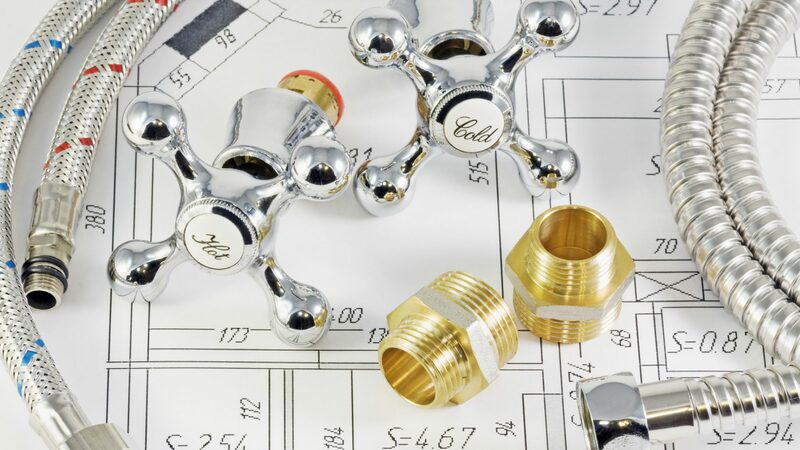 The build-up of scale inside plumbing systems can cause components to clog up, seize and/or fail. 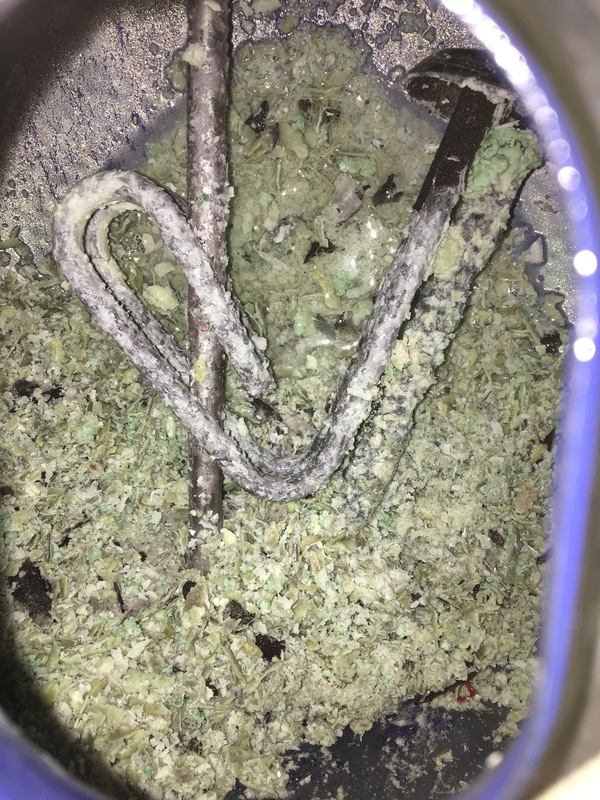 Lime scale build up inside an instantaneous water heater. This heater element was just 3 years old. How does hard water effect an immersion heater element? As hard water is heated the minerals stick together and form a crust known as lime scale. The lime scale sticks to the heater element and builds up over time acting as an insulator. 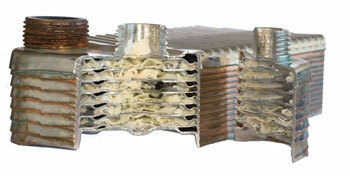 The build-up of heat eventually fatigues the metal element and causes it to fracture, ultimately causing the element to fail and trip out the electrical circuit. How does lime scale increase gas and electricity bills? The additional energy required to heat a given amount of water is increased by the lime scale that forms on the heat source. Just 1.6mm of lime scale build-up in heating systems will cause a 12% loss in heating efficiency. Different types of water softeners. Electric or non-electric? Both electric and non-electric water softeners soften water by means of ion exchange and work in much the same way. The non-electric type utilises the flow of water to power itself, similar to a wind up watch a series of cogs and wheels calculate water usage and initiate regeneration. From an installation perspective this type of water softener can be a little more versatile in that it can be installed without the need of a power socket nearby. For example, within a bathroom or cloakroom where electricity is not permitted. Most Non-electric softeners have two resin tanks (twin tank) which enables them to deliver softened water 24/7. When one tank is on-line the other can be regenerated without interruption. You may think that an electric water softener is going cost you more to run? Most are powered by 12-volt transformers, and consume around 1 amp or less, so the cost is fairly insignificant. Through digital technology, these water softeners can very accurately monitor the amount of softened water consumed, and will initiate regeneration at optimum times. To avoid hard water entering the plumbing system, regeneration is timed late at night when there is little or no water usage. Salt is readily available at most hardware shops or can be ordered, and delivered to your home. It’s important to use the correct salt for your water softener as using incorrect salt may cause malfunction of the softener. Tabular salt…The salt is shaped into small cubes similar to sugar lumps. Sold in 10 and 25 KG bags. Block salt…The salt is shaped into large solid blocks, which makes them easier to carry and store. Often more expensive than the other types. Granular salt…Becoming less used these days as most water softeners manufacturers have moved on to tabular. Sold in 10 and 25 KG bags. Crystal salt…An alternative to tabular salt. Sold in 10 and 25 KG bags. Get the correct size/capacity water softener to suit your household. How many people reside at the dwelling and how many bathrooms are there? Is there enough space to house the water softener within the desired place of installation? Look at the efficiency of a water softener. This is amount of WATER and SALT used per regeneration and the capacity (The amount of softened water produced per regeneration). Although all water softeners will save you money, not all of them are as efficient. (this is well worth researching). A high efficiency water softener will save you both money and the hassle of buying so much salt, producing payback quicker. This is a bonus if your water softener is installed in the loft, or a difficult to access place. Buy the correct valves and hoses (fixing kit) for your water softener. If you have a combi boiler or un-vented hot water system, high flow hoses and valves will be required to prevent restriction in flow. Salt free water softeners or ‘water conditioners’ are also available offering a cheaper alternative to an ion exchange softener. However, these devices do NOT remove the minerals in hard water, but rather they stop them from adhering to pipes etc. 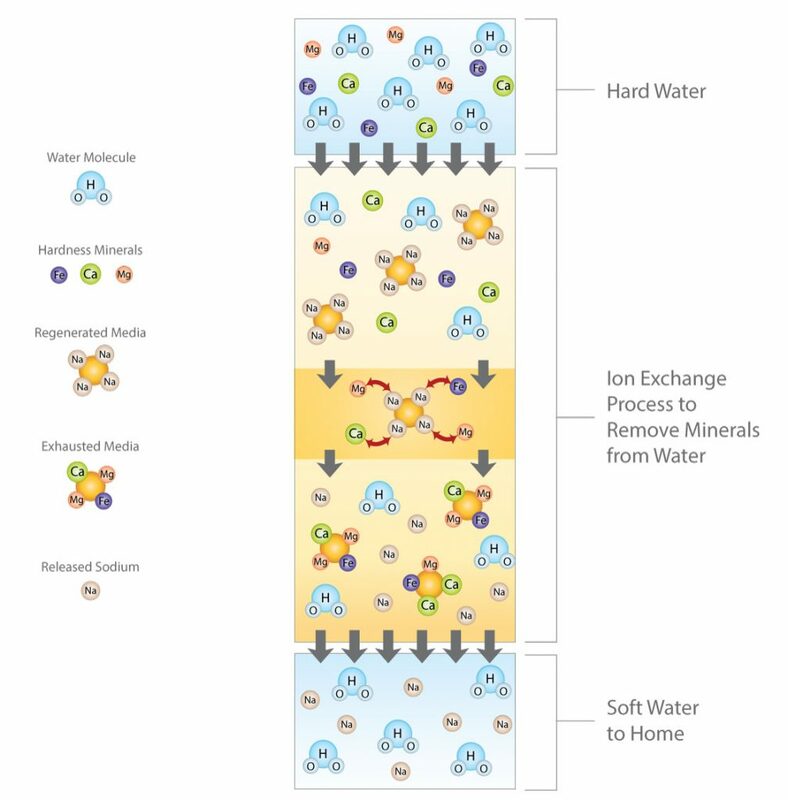 There are some benefits to this but ultimately you do not gain the same benefits that you will get from an ion exchange water softener. Maintenance of your water softener. If installed correctly a water softener should give 10-15 years or more trouble free service. Most do not require any maintenance, however there are some that do, check the manufacturer’s specification. Tips on looking after your water softener. Always keep the salt bin filled with the correct type of salt and use only good quality water softener salt. Always keep the water softener clean, make sure the lid is secured in position. Contaminants can cause blockages and breakdowns. Use a resin restorer every 3-5 years. This refreshes the resin by removing any build up of organic compounds and iron. Do a simple hardness test every 3 months to make sure everything is working properly. Very interesting article! I will look for your next post next time. Thanks for this one.